A long time ago, in an internet world all but forgotten, having your browser tabs aligned vertically along the side of the screen was a thing. Okay, so it wasn’t that long ago and for many, having your tabs on the side of your browser is still your daily workflow. 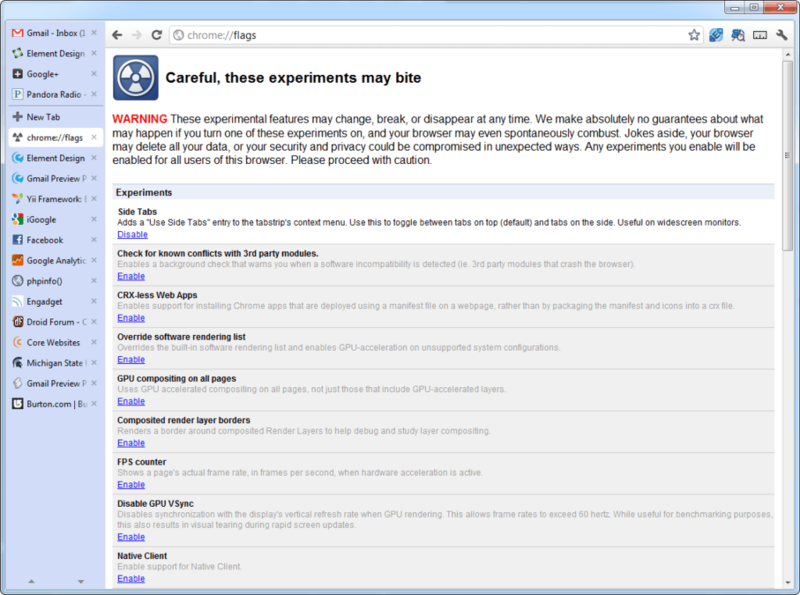 For Chrome users specifically, the side tabs were always an experimental project and that layout went away back in 2011. For those who favor the extra pixels at the top of the browser, there are a handful of extensions in the Chrome Store that will give you the satisfaction of tabs to the side. Much to my surprise, it appears that enough people are beckoning for vertical tabs that developers have taken notice and begun work on bringing them back to the Chrome browser. This cl implements the side tabs layout. 1. Allow choosing tab alignment upon init. 2. Support MD for vertical tab alignment. 3. Draw border for vertical tab alignment. From the verbiage, it looks like users will be able to choose the side tab layout at launch and we will be looking at a newer, Material Design UI. The bug report attached to the commit contains images of the new layout. Unfortunately, it is marked private so we are unable to get ahold of those, for now. 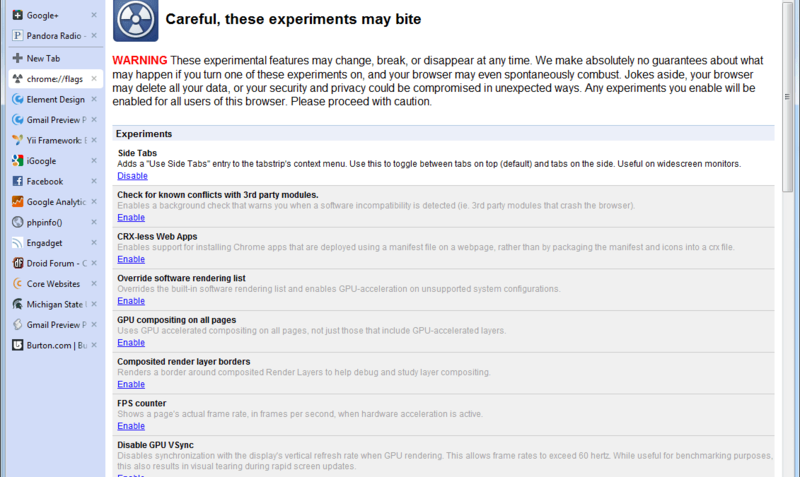 This feature looks to be added to the Chromium source and is being tested on Linux. That’s a good sign that we will see it released for Chromebooks, Windows and Mac if developers decide to keep it around. Personally, I’m not a fan of the side tabs mainly because it doesn’t mesh with my workflow but for many users, it may be exactly what they’re looking for to customize their Chrome UI. I’ll be keeping an eye out for this to go live in the Canary channel and will share images and updates as they arrive. Are you a fan of side tabs? What are the advantages? Sound off if you’re excited about this new, old feature.